It will come as no surprise that the reputation of the Peter Tatchell Foundation means many people use us as a first point of contact for help on issues such as discrimination, asylum, harassment and hate crime. 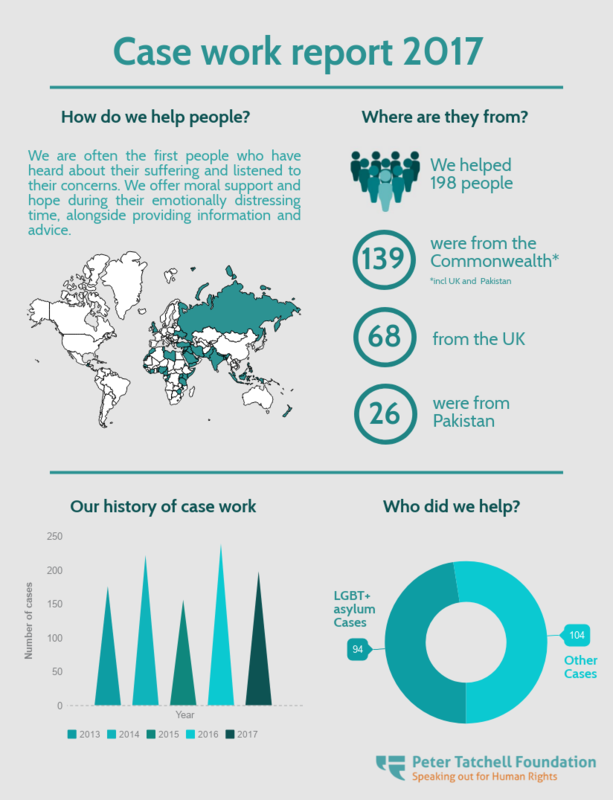 Our case work report looks at the issues and challenges we addressed. 139 were from Commonwealth countries. 68 were from the UK. Please take time to peruse the report. Our success starts with YOUR generosity.